Today I'd hoped to be putting the frosting on my 6th book, Everlost (and making these cuties) and then hit send to my proofer with the FINAL draft. But after working through these latest revisions from my fab beta team and editor, I see it's not ready yet. 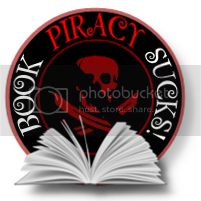 At 350 pages with over 30 characters, tons of passion, drama, and fighting... there's still loose ends. So with that being said, there's no way Everlost will be ready on 2/28 date as expected. I need to push out things two more weeks. I know this is going to frustrate some of you and I'm truly sorry. I'm asking for your grace and patience just a little longer. For Tatchi, for the rebels, for Badger, Jacob, Fin, Ash. For Galadriel, Jax, and Ferdinand. For Queen Desiree and King Phaleon, and even Prince Azor. It will (hopefully) all be worth it. Once it's live, I'll let everyone know on my blog, twitter, facebook, and send out a newletter, too. PS. My contest has been extended, too. Be sure to enter! This is LeNore from Ft. Worth. Good luck with the last round of edits! I'm sending warm and encouraging thoughts your way. Don't let the stress get to you! Your fans aren't going to go anywhere and we know the wait will be worth it ^.^ So no worries and Happy Writing! Sadness as I went to Amazon today with hopeful anticipation. But truthfully a well written book is better than a ragged, rushed story. I shall go back to patiently waiting. Really really enjoyed the first two. There are tons of werewolf and vampire novels. Not that many mermaid tales. Which makes you a very special author! Thanks for understanding, Jenn. :) I hope you're not disappointed. Ooooohhhh contest! Yay! :D I'm so excited to read Everlost!! Aww... It's all right. For a great story, I can definitely wait! Good luck with the revisions! 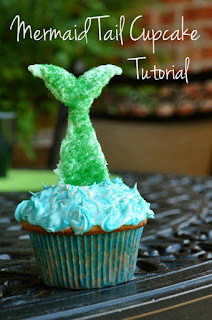 And the mermaid tail cupcakes look so cute! Maybe you can post some pictures when you get a chance to make them! Awww i was so looking forward to that. But i can wait! It will be worth the extra wait. Cant wait to findout what happens to Tatchi and Ash! !